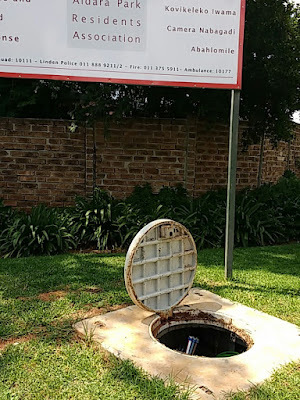 Insights and Rants: Not so fast, Vumatel! 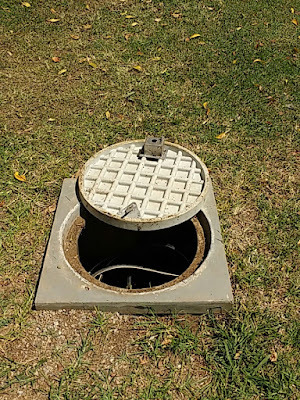 This morning when I was putting out the rubbish bins I nearly tripped over the Vumatel manhole cover that has been partially open in the middle of a busy sidewalk for the past few weeks. 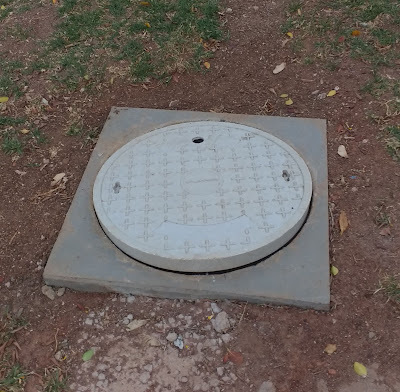 So as a good public citizen I reported the problem to our local Vumatel Twitter account, and they promised to have it fixed. 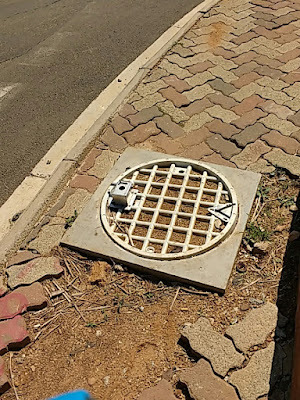 And, true to their word they sent someone to "fix" it, and the one on the opposite side of the road. 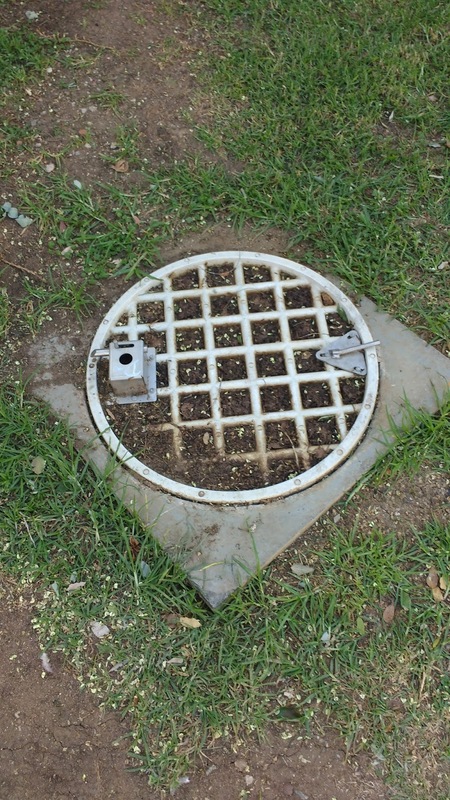 Now I'm wondering in what parallel universe this makes the manhole safer? 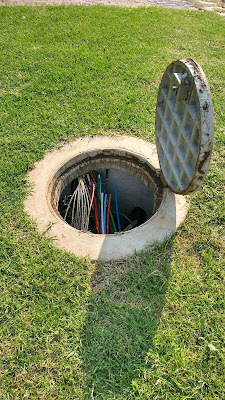 Then the Pikitup people arrived to collect the rubbish bins, and one of the guys nearly impaled his foot on the spike. 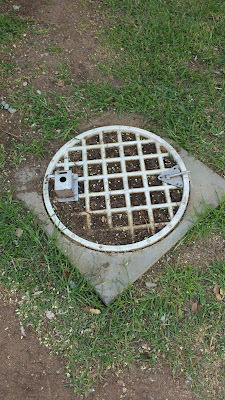 If he wasn't wearing boots he would be in the emergency room. 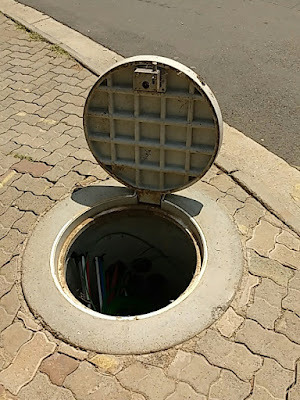 So I reported it again. And again they sent someone to "fix" the problem. 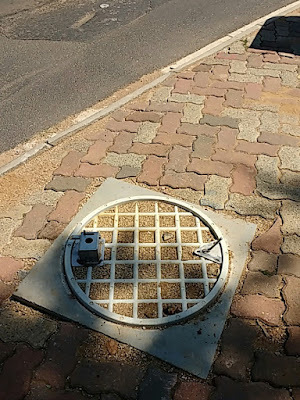 At this point I give up. We are back to square one. They obviously live in some kind of parallel universe. 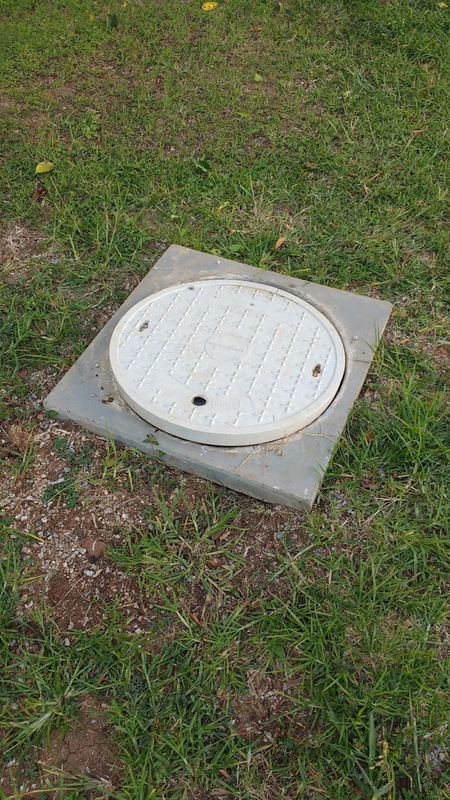 Update Monday 17 October 2016: Since Vumatel took the whole day to do nothing. I fixed it myself, with some sticky tape and a piece of aluminium that they left lying around. Clearly they don't care if anyone opens the unlocked manhole cover and sabotages their stuff. 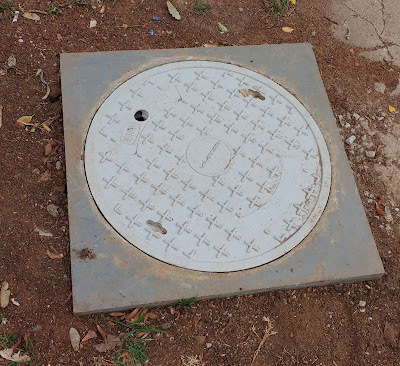 Update 20 April 2017: Six months later and all but 2 of the manhole covers in the area are either unlocked, or the cover is upside down with the spiky stuff sticking out. They don't give a damn, but I will suffer from an internet outage when some bored kid with too much time on his hands decides to vandalize the cables for the hell of it. Update: Saturday 6 May 2017: Today's walkabout is not much different, even after they supposedly "locked" all the covers. 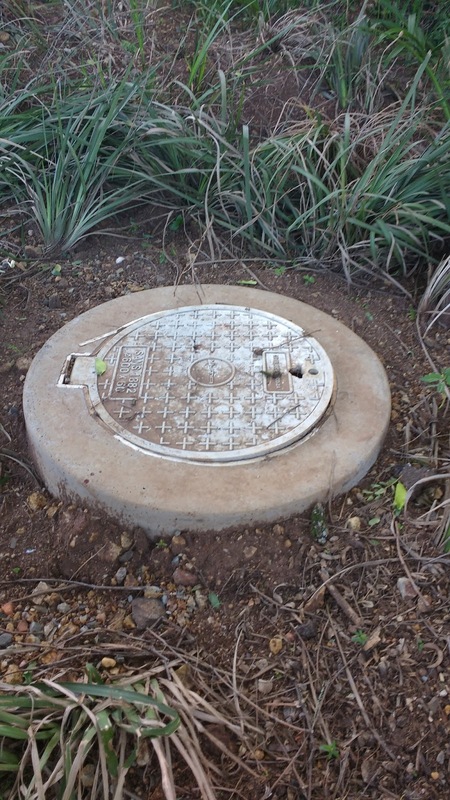 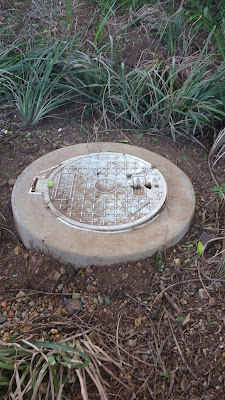 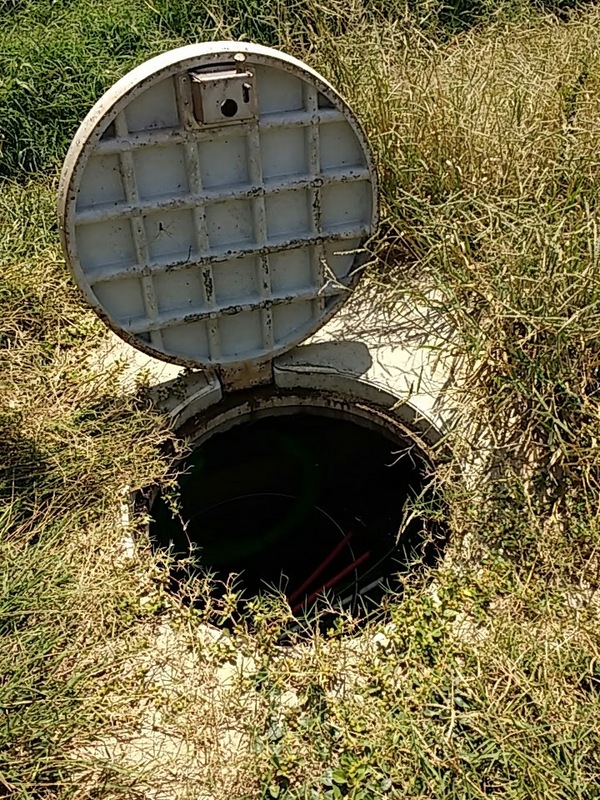 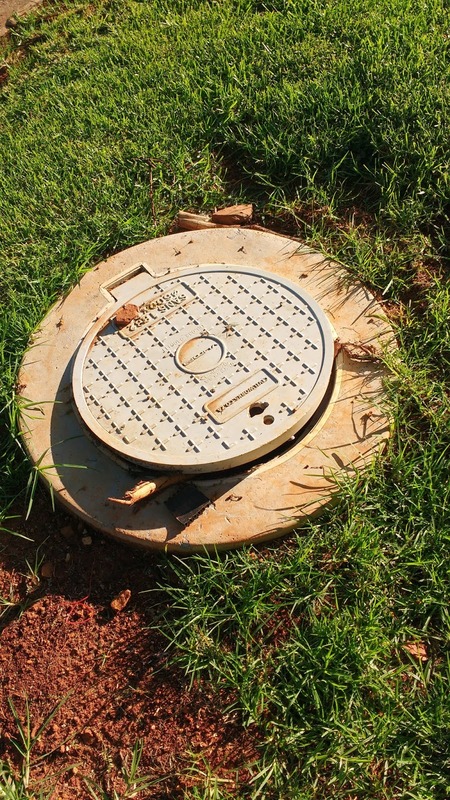 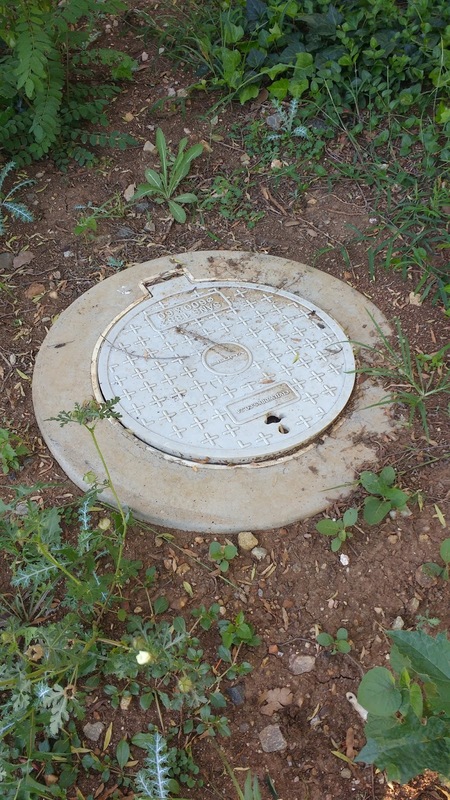 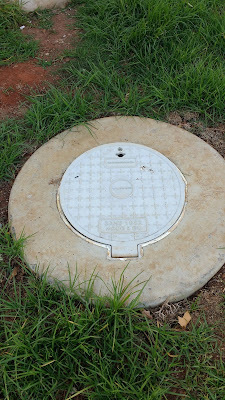 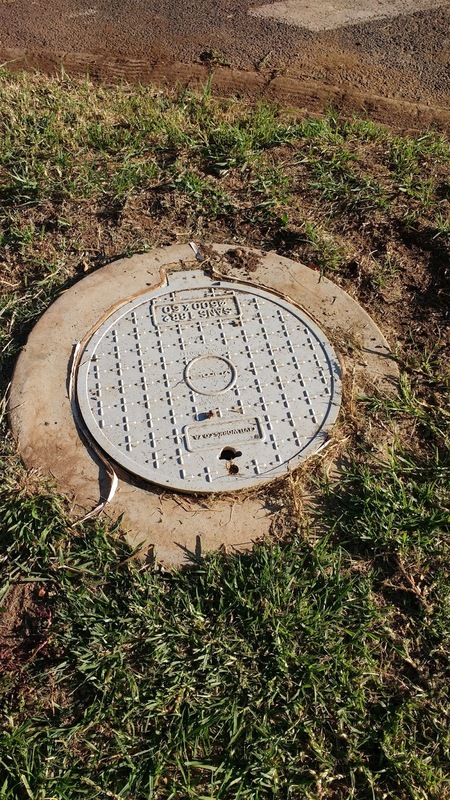 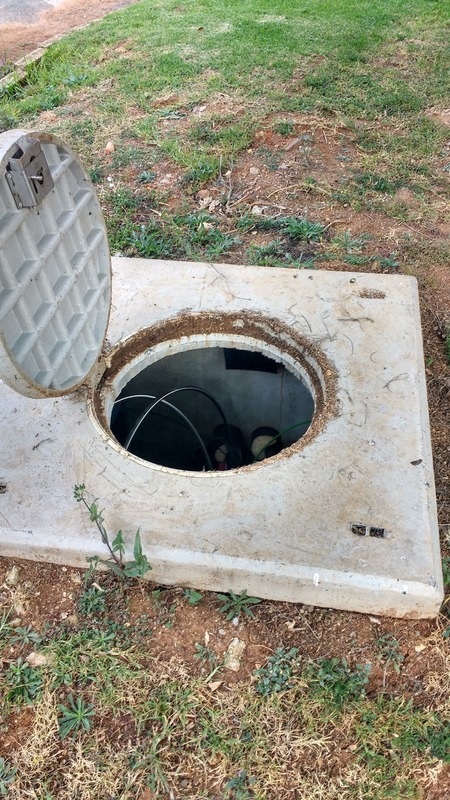 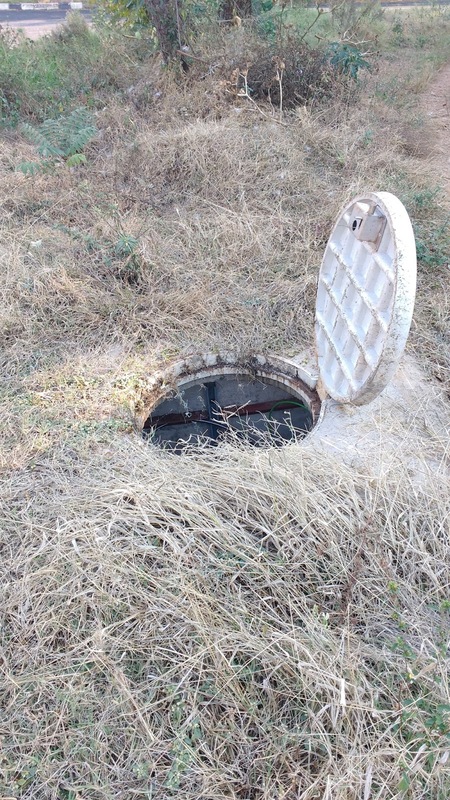 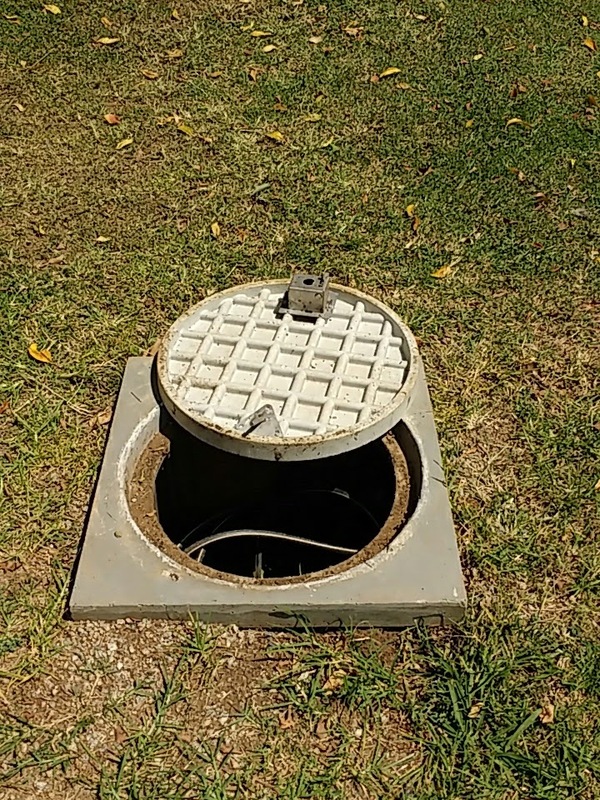 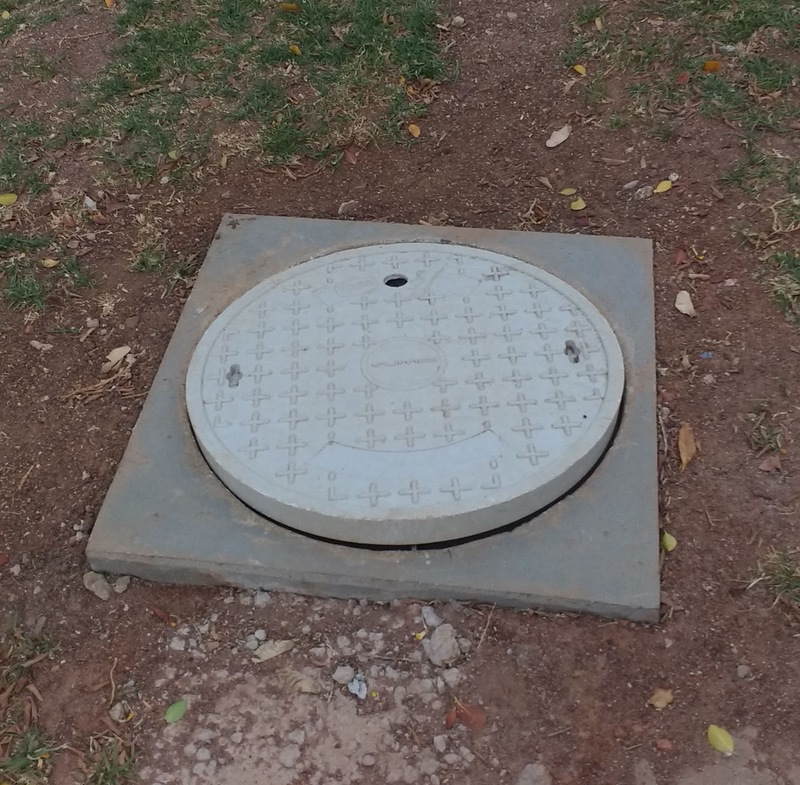 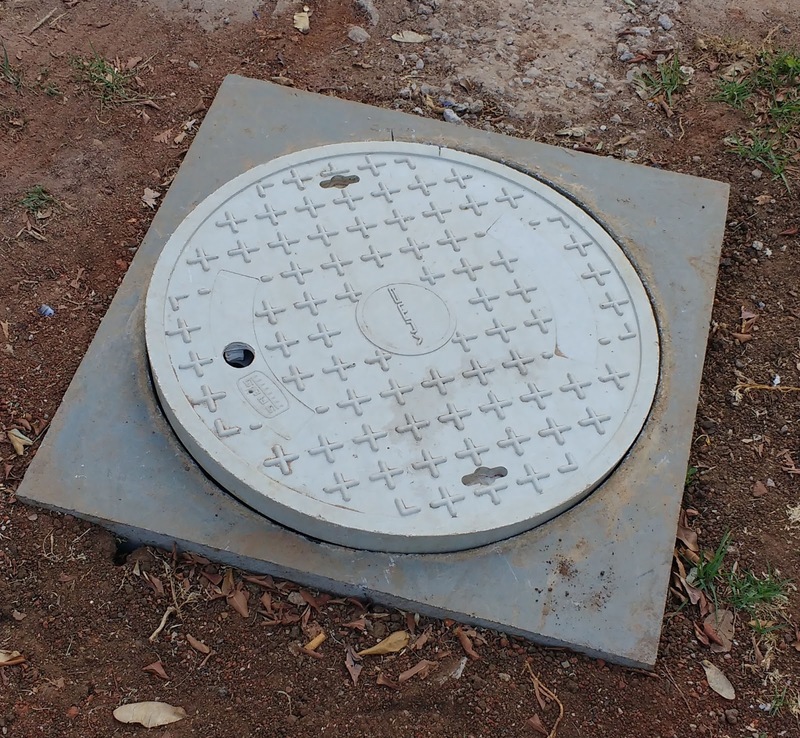 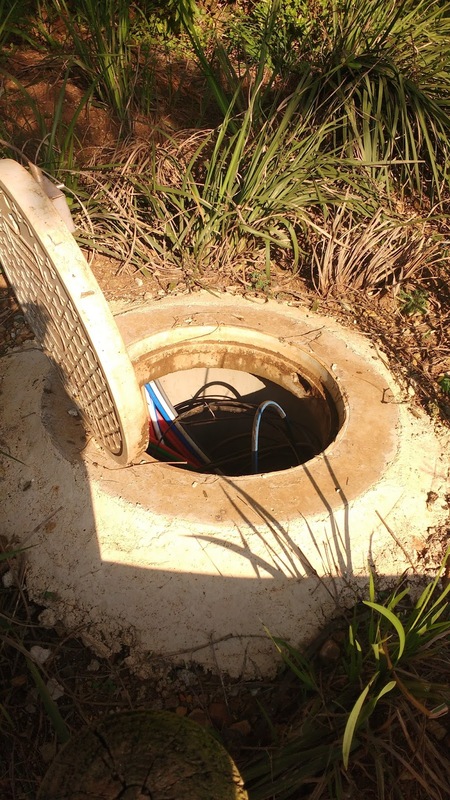 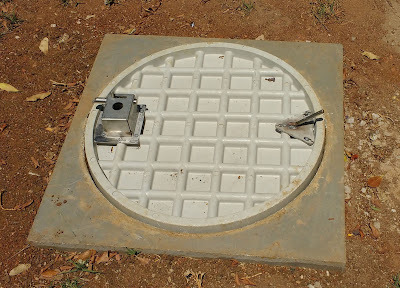 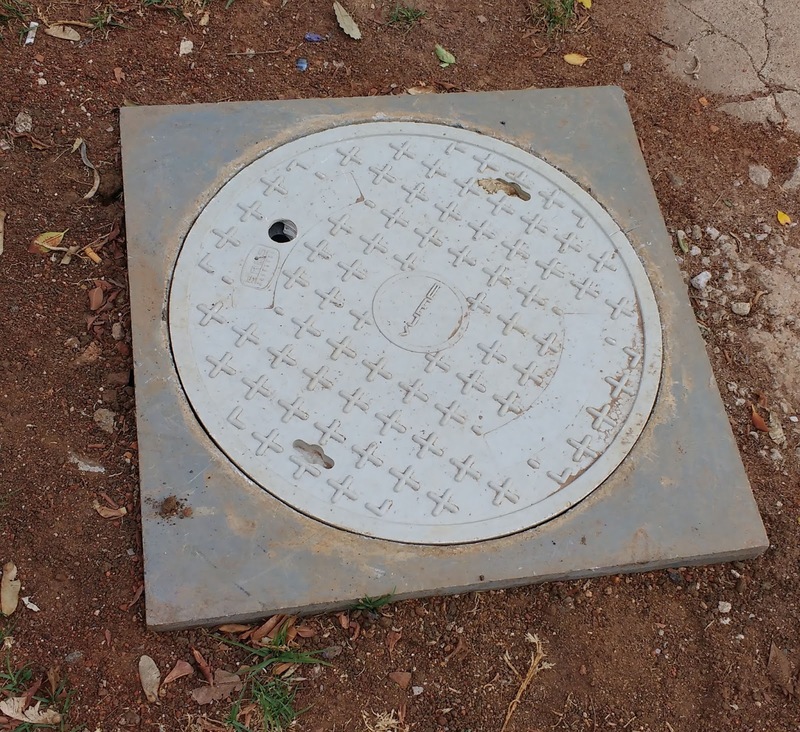 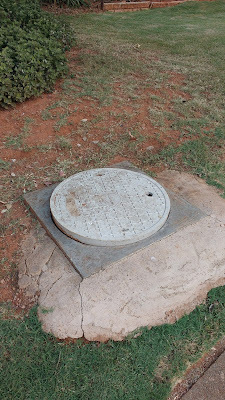 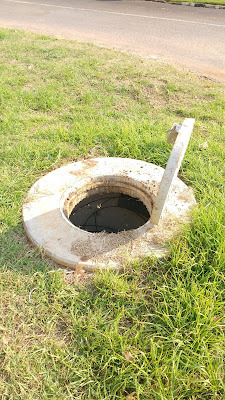 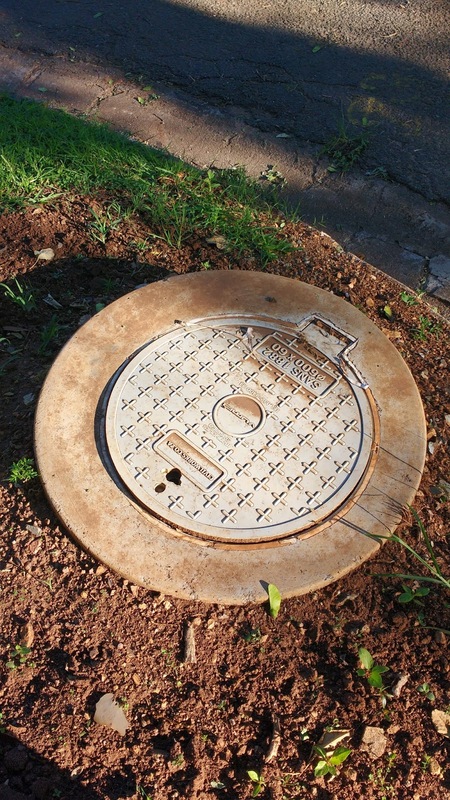 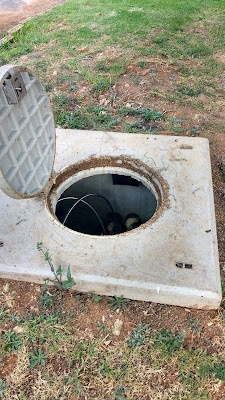 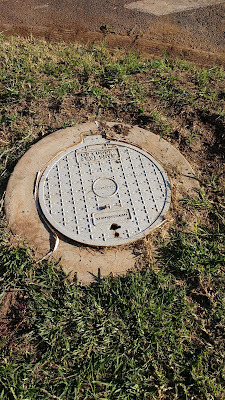 Update: Tuesday 16 May: One of the Vumatel contractors came to the suburb and locked all the unlocked manhole covers in our suburb. Brilliant, especially since he wasn't responsible for the mess in the first place. 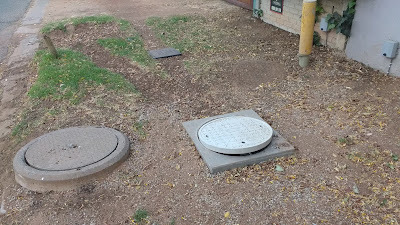 I really don't know what to make of the people at Vumatel. 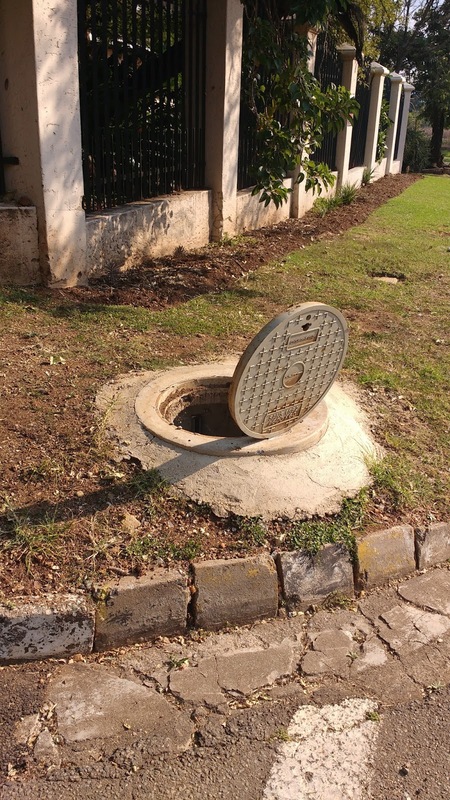 The concrete top in which the "locked" manhole is fixed, is not even cemeted to its base!